Tellabs offers a fully managed IP/MPLS-based router with support for a wide range of protocols to deliver connectivity and services in a cost-efficient manner that also guarantees quality of service awareness in both mobile and fixed environments. The Tellabs 8660 edge switch is considered the most scalable component of the overall 8600 Series Managed Edge System for carriers and enterprise-grade services. It provides full element and network-level redundancy functionality while supporting voice, video, real-time QoS-aware data and what the company calls “Best Effort” services through both wireless and wireline infrastructure. 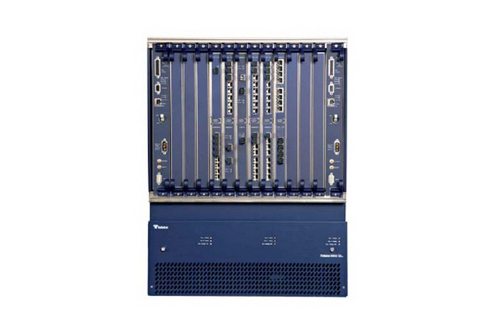 A refurbished Tellabs 8660 switch can be successfully used for managed traffic aggregate in 2G and 3G mobile networks as well as native delivery of both Ethernet and IP VPN services. Having your used Tellabs 8660 close to the RNC or BSC site will enable you to undertake and support a network shift from R99 to R6 without any forklift upgrade requirements. Give your network the right boost at the right price by choosing a used or refurbished Tellabs 8660 from Worldwide Supply. The system is designed to be an economical option for large deployments — even those reaching countrywide status. We make the process even more affordable with great savings on parts and equipment that meet OEM standards and come with industry-leading warranty options. Whether you need large scale growth or are testing the waters with VPN offerings, a used Tellabs 8660 is a smart addition to your capabilities.